You try to stifle back a tear as you pick up your phone, noticing just how broken it really is. Suddenly, all of the good times you'd had together flash before your eyes. You and your partner in crime... and now it's gone. 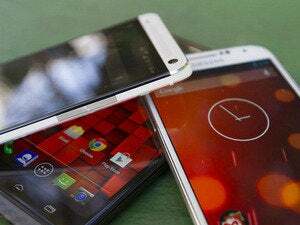 You have insurance through your carrier and you'll have a new phone in two weeks, but what you didn't have was the insurance that your memories with your smartphone remained intact. You had never backed it up, not even once. Of course, I'm talking about myself. In second person. 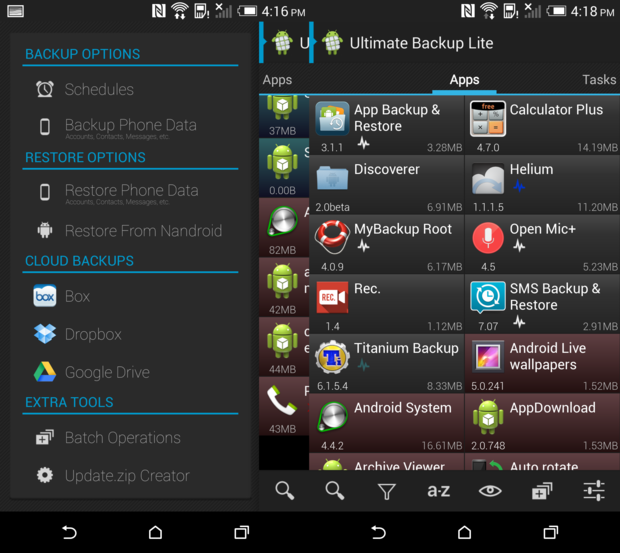 Titanium Backup has been around for many years, and is one of the most popular backup applications among those who like to mod and hack their phones. 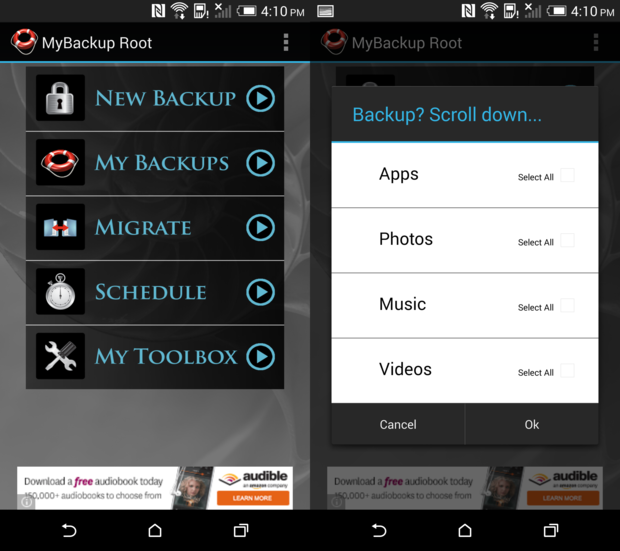 It requires root out of the gate, so this isn't the app for unrooted or inexperienced Android users. Easily backup applications and media or app data to your phone’s internal storage, or Rerware’s cloud servers (you're given a limited amount of space). Upgrading to My Backup Pro will allow for application data backup and data migration between more than one device. It's ok to judge this app by its looks. It knows it looks good and it has the features to back it up. The middle of the road app for content backup is Helium. It’s well-designed and powerful without being overwhelming. 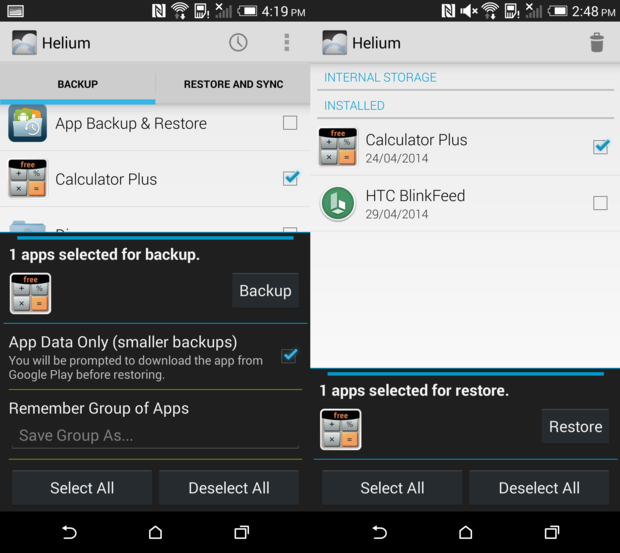 Helium also doesn't require root to backup your application data, which is a big plus. 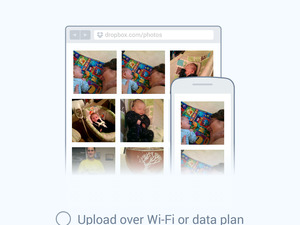 After all, you can easily re-download your apps; it's the app data you don't want to lose. 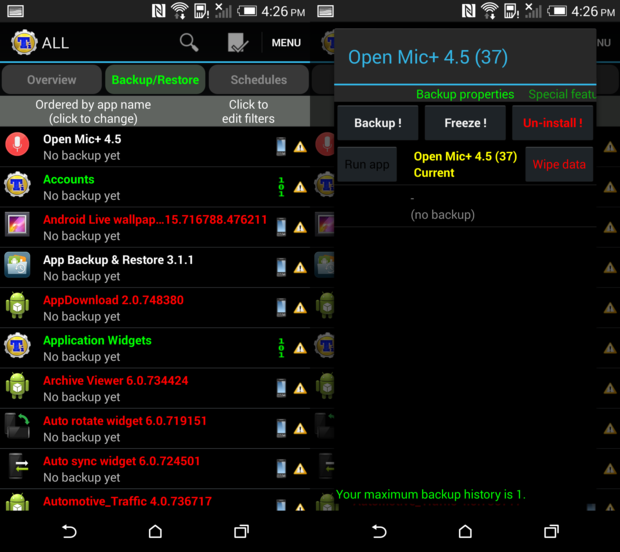 Still, this is the only app that allows for app data backup without requiring root access. Ultimate Backup and Titanium Backup are definitely on the advanced side. 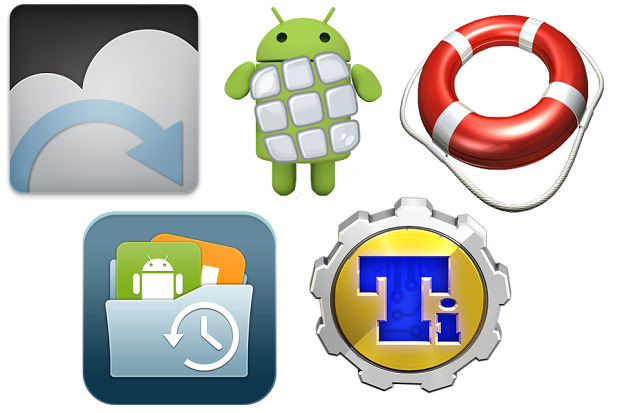 Both applications can backup and restore applications easily, with Titanium offering up more functionality and Ultimate Backup bringing more style to the table. Of course, between the two, I’d probably go with Ultimate Backup. I'm a sucker for pretty things.